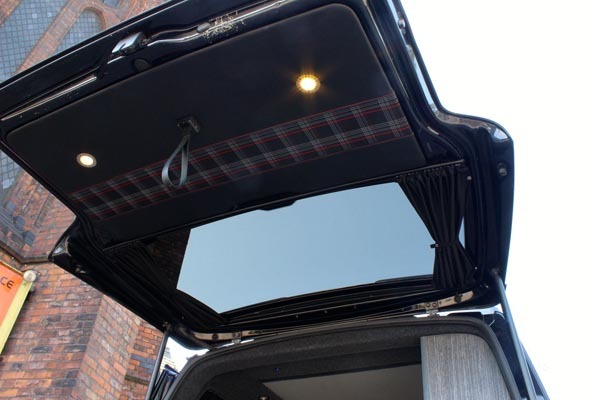 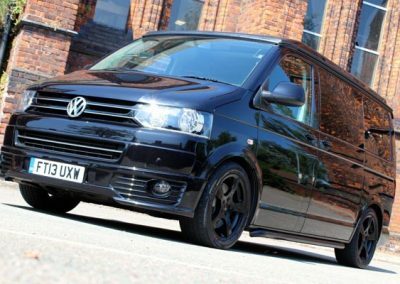 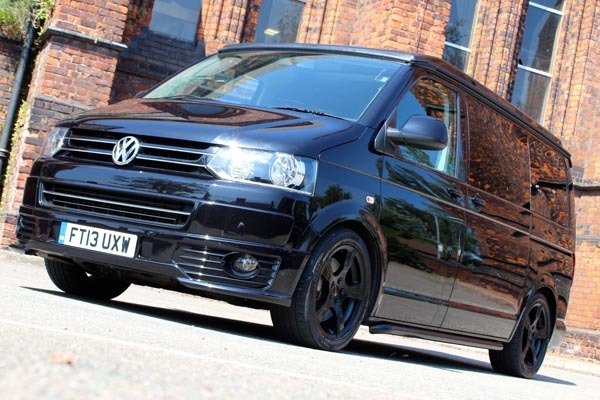 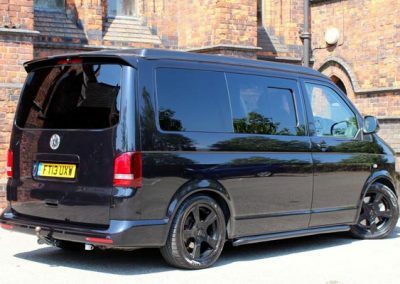 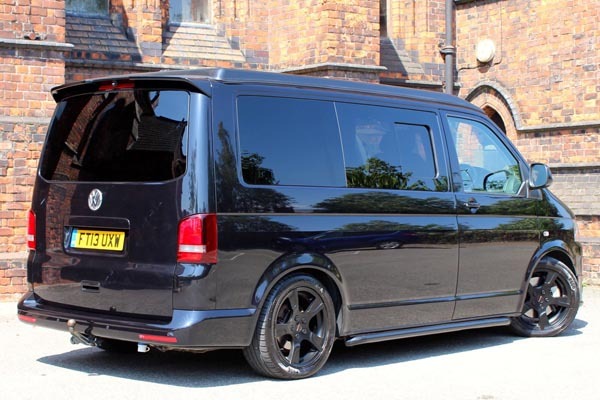 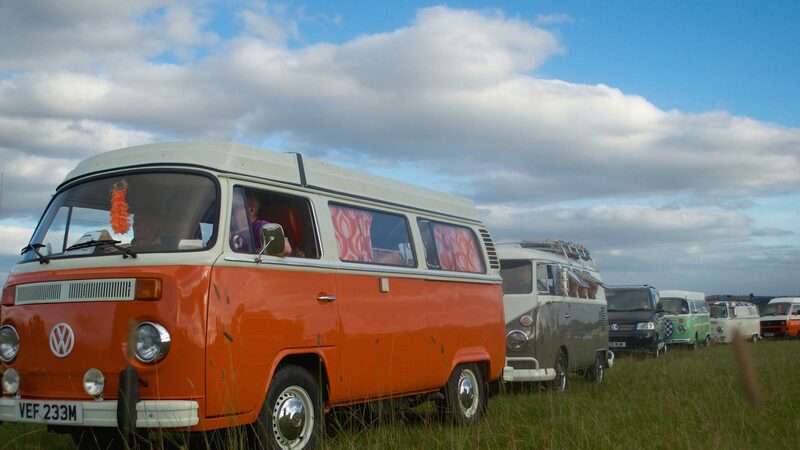 Dubtricks prides itself on providing a top quality VW conversion service. 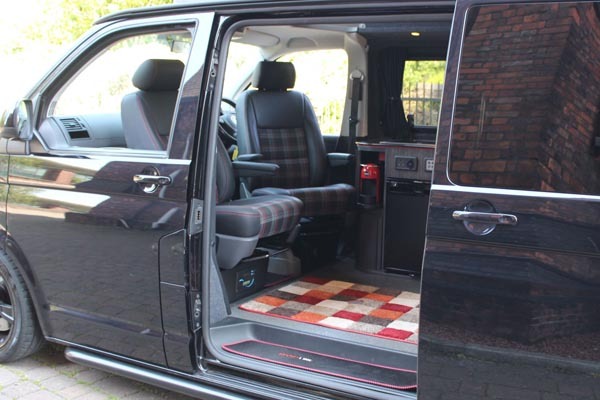 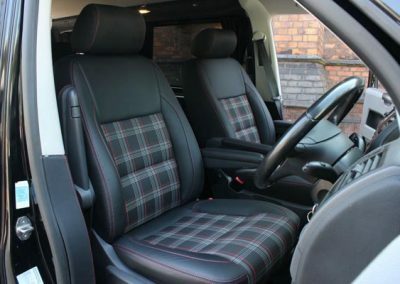 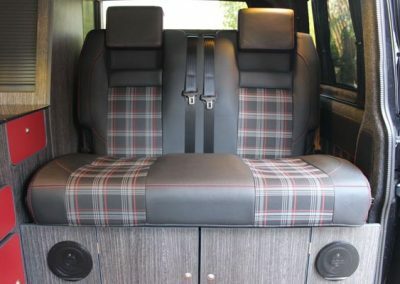 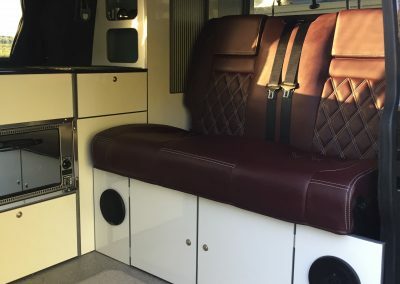 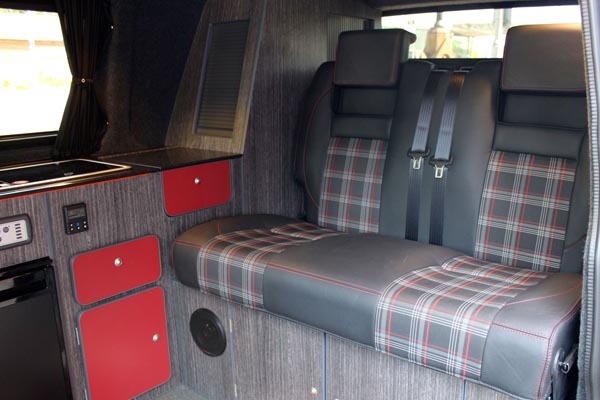 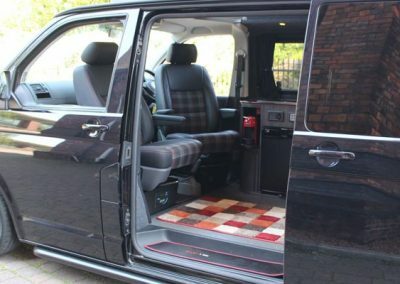 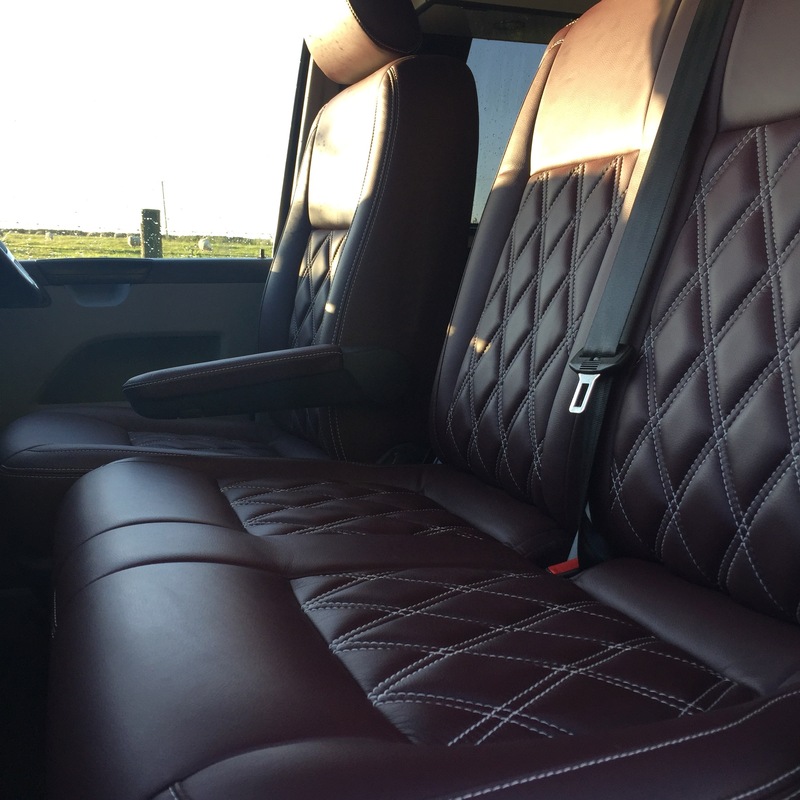 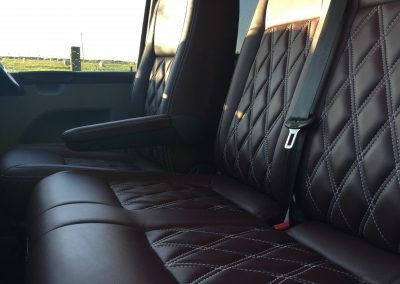 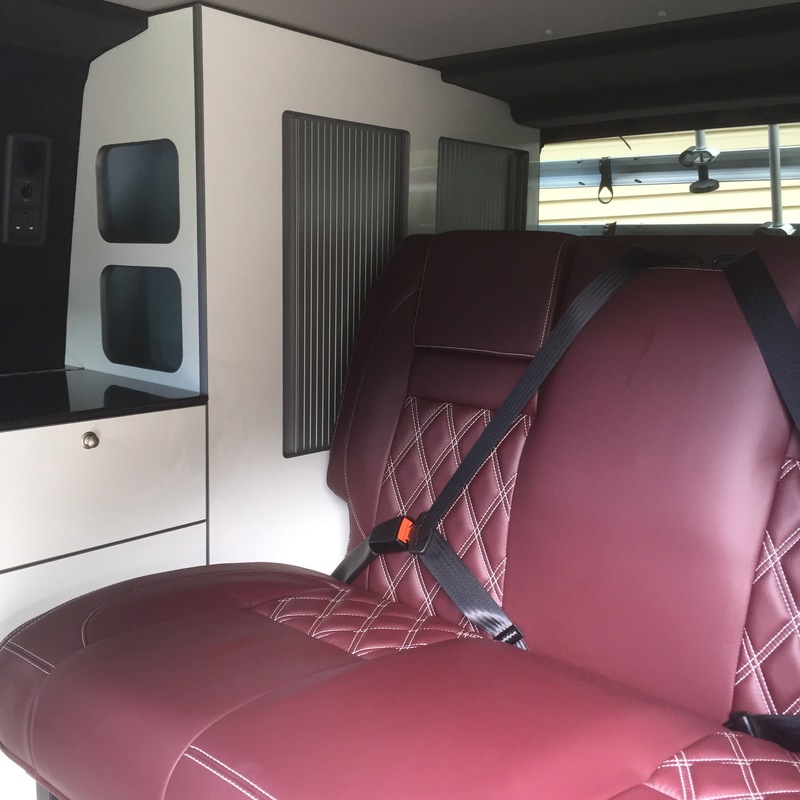 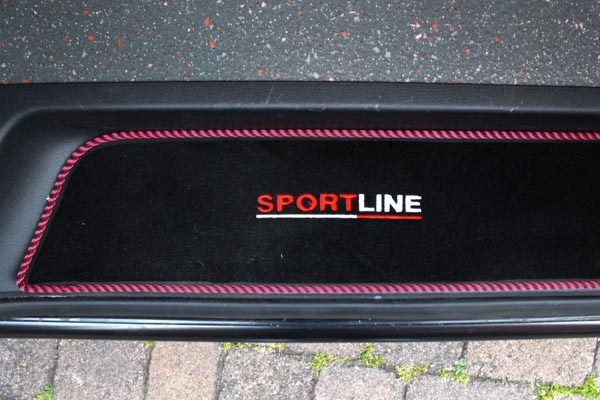 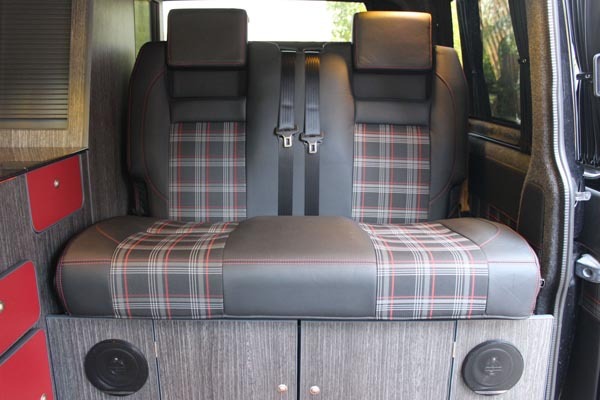 For many years we have been restoring classic VW camper vans to the highest of standards and fitting them with our own bespoke interiors and now we are offering the same quality of service for your VW T4, T5 and T6 Conversion. 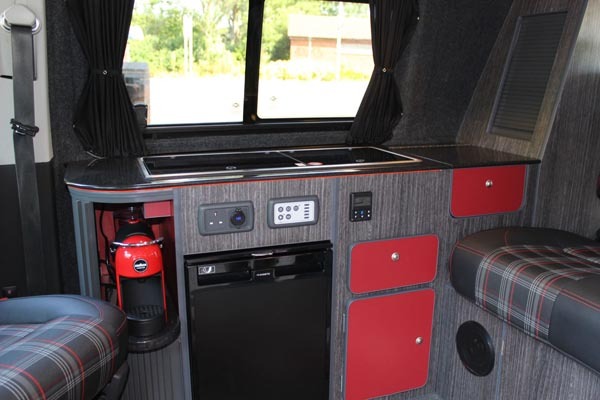 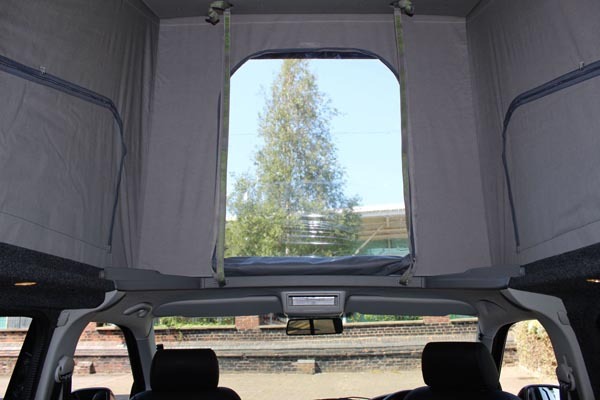 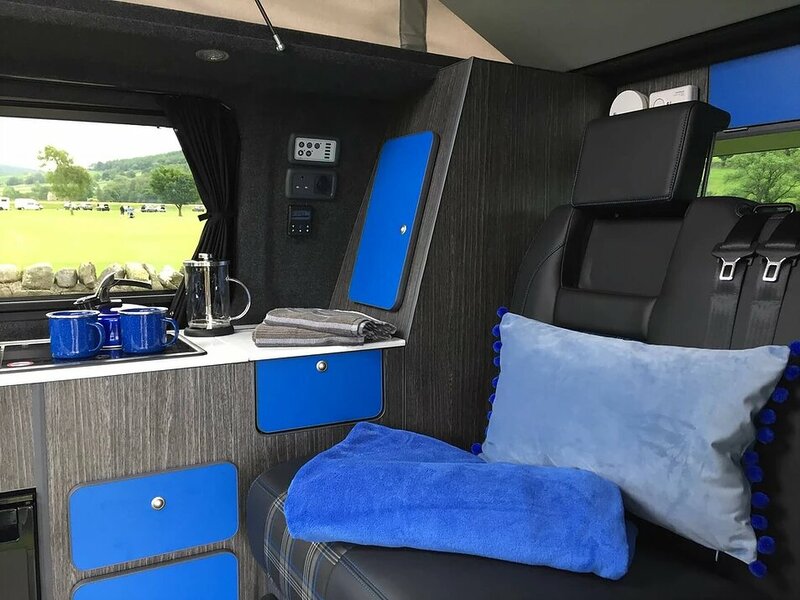 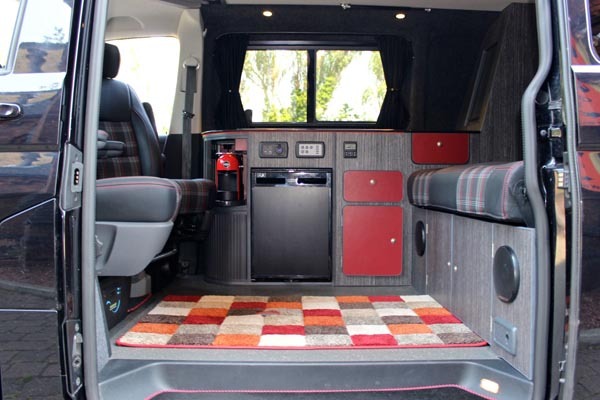 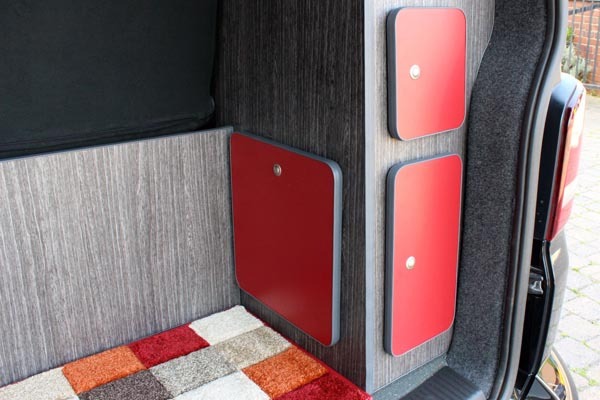 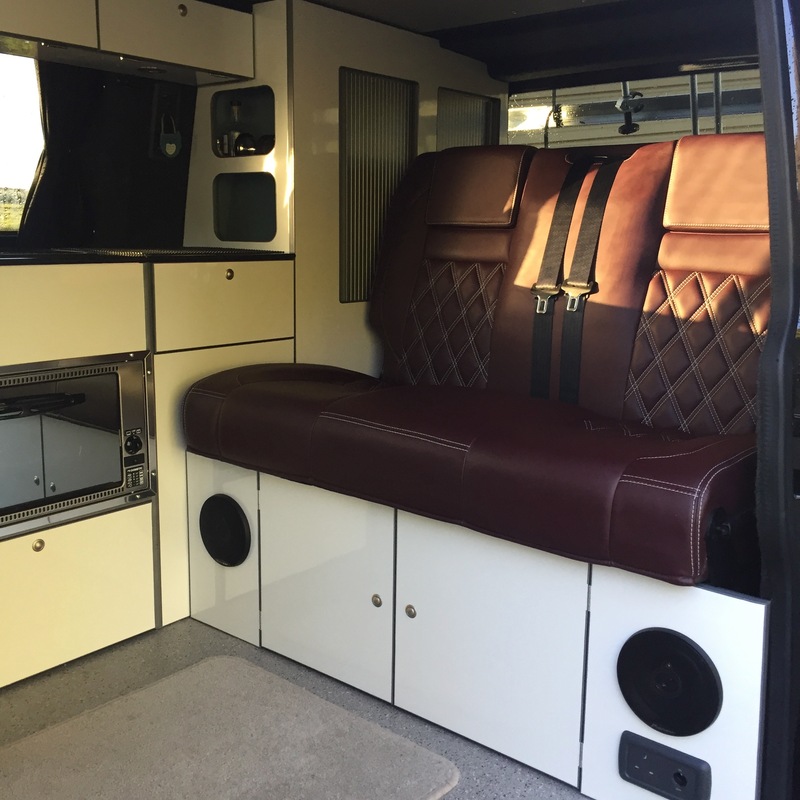 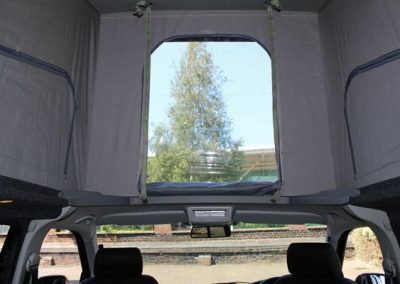 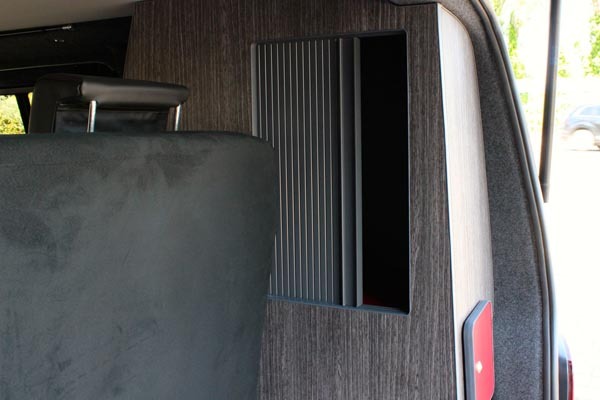 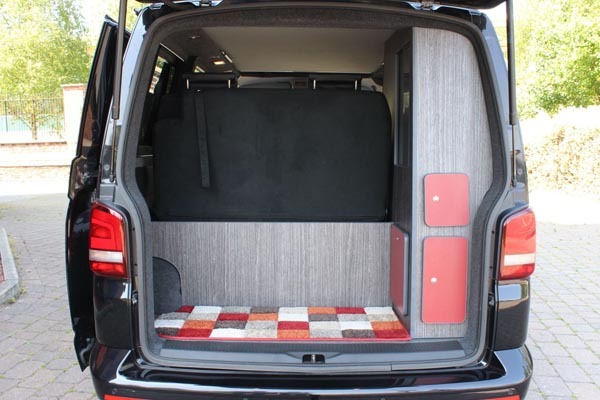 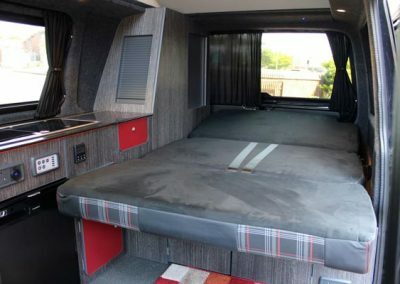 We can completely convert your panel van into a modern, stylish camper with one of our bespoke interior builds, tailored completely to meet your needs. 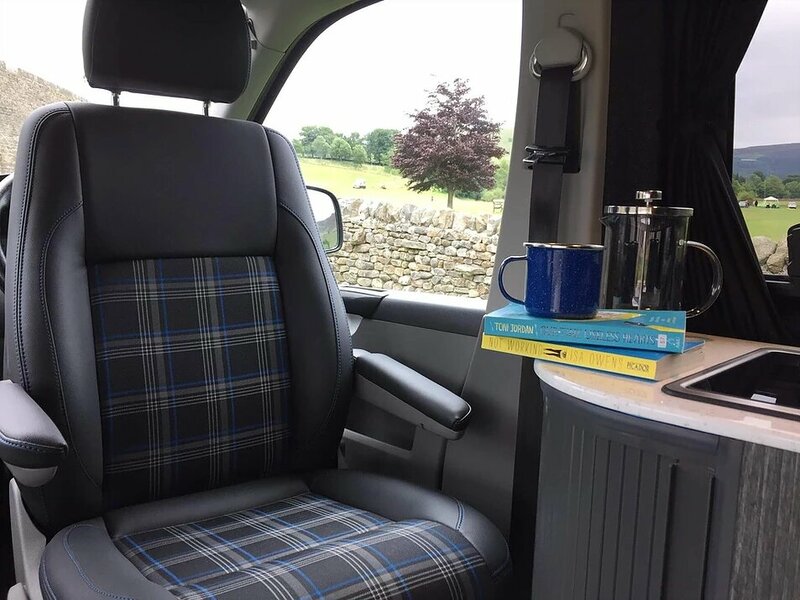 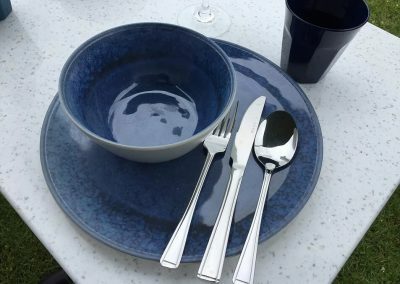 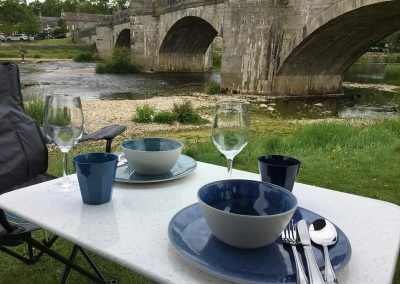 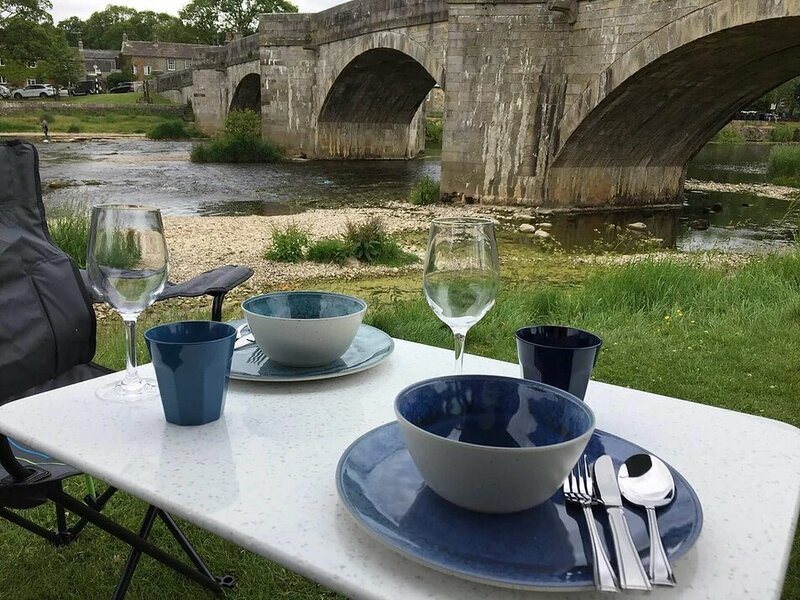 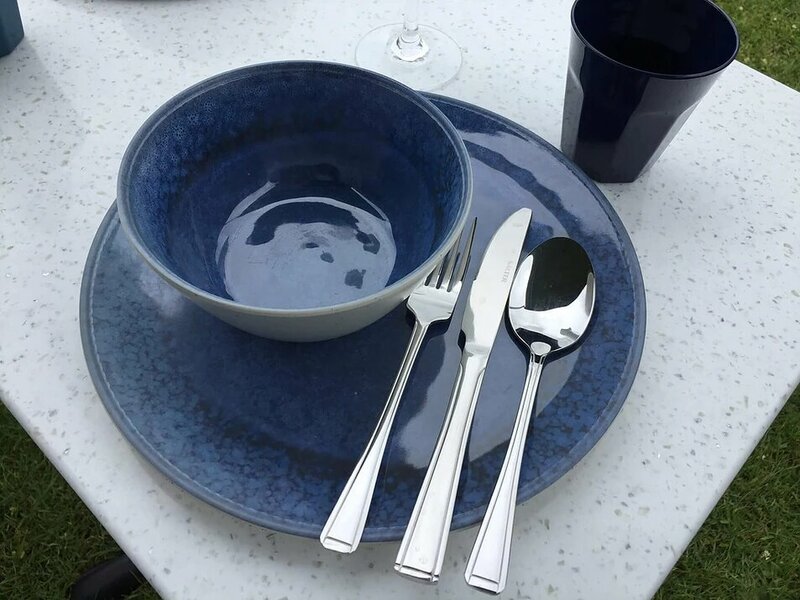 Because our interiors are bespoke, we can usually cater for any unusual requests, so if you would like something adding that is not a standard feature, please feel free to contact us to discuss the options for adding it to your design. 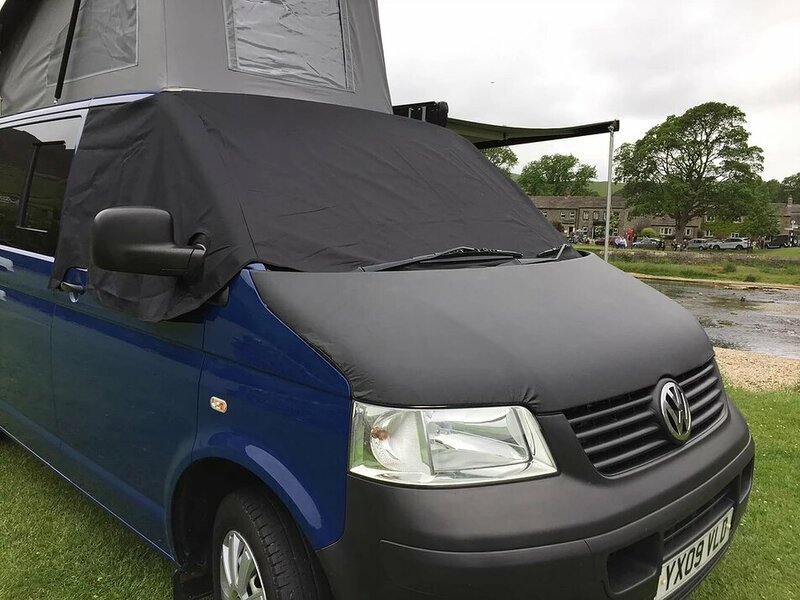 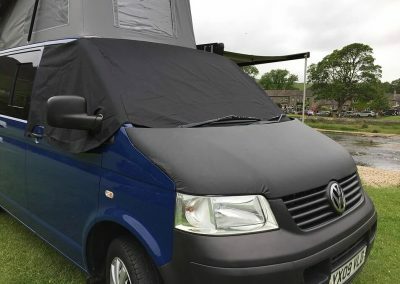 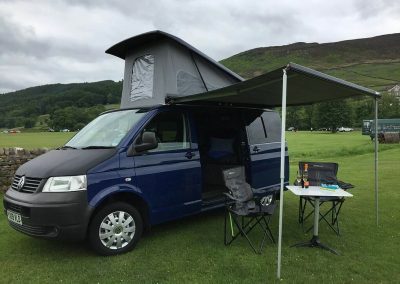 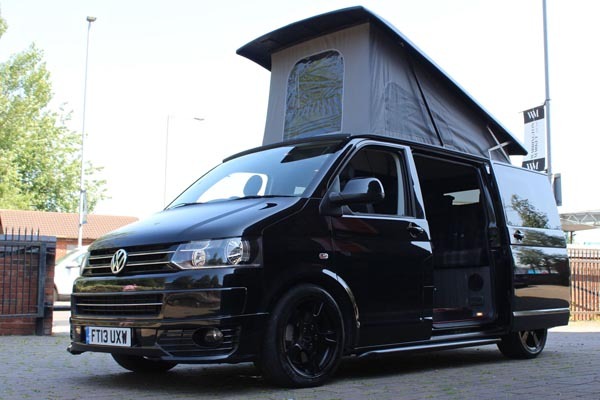 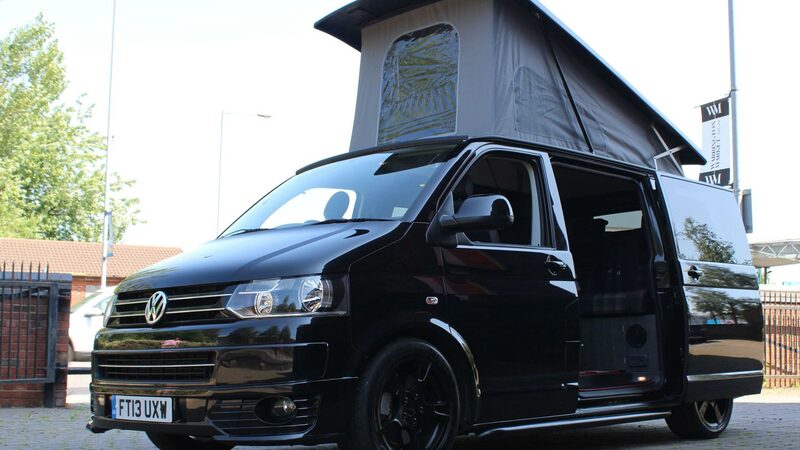 If you can’t afford to do the full conversion in one go, or just can afford to be without your van for too long, don’t worry, we are happy to carry out the conversion in a number of steps to get you on the road and camping as quickly as possible and within. 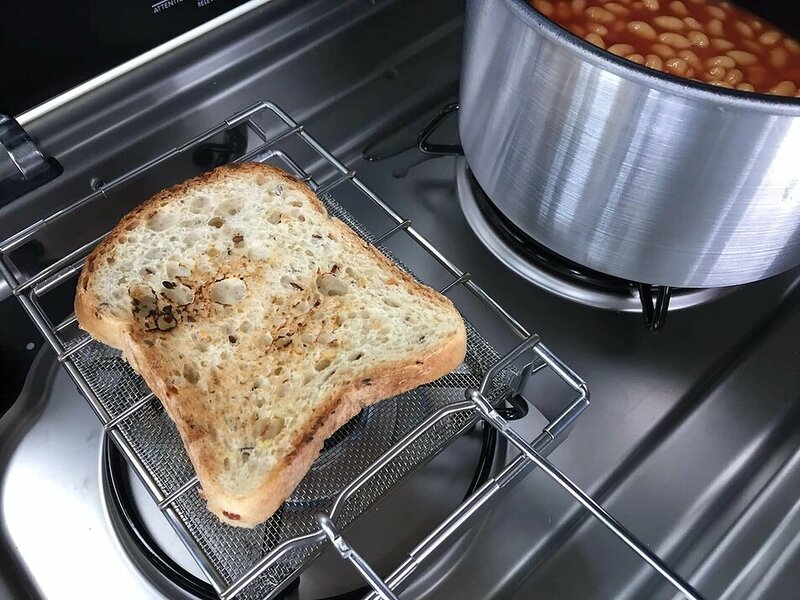 your current budget. 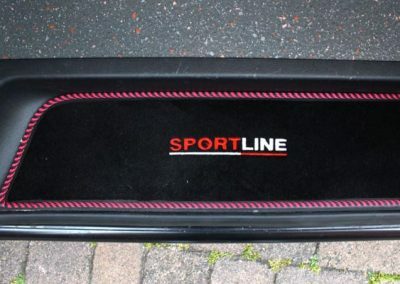 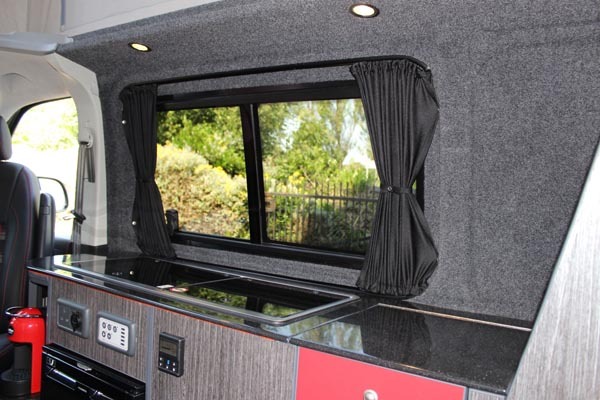 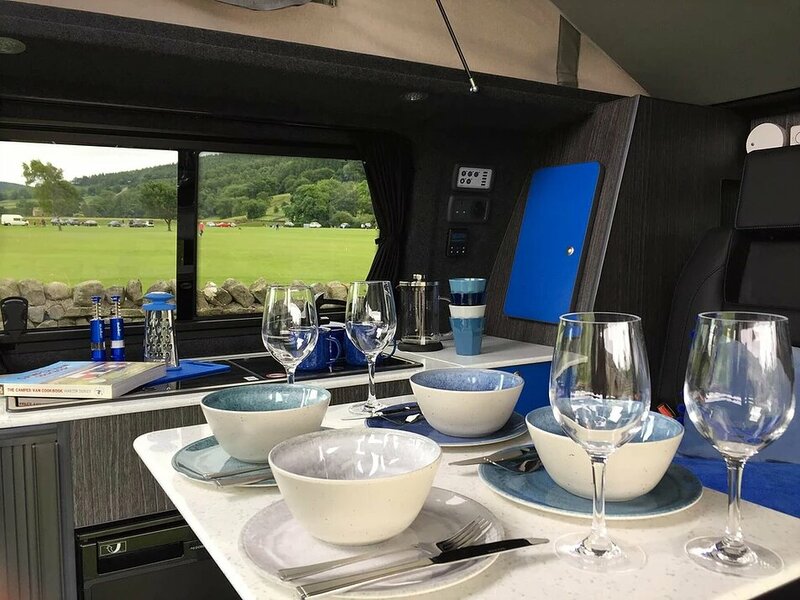 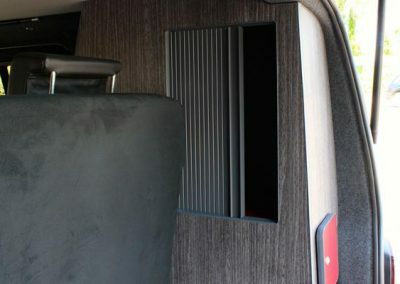 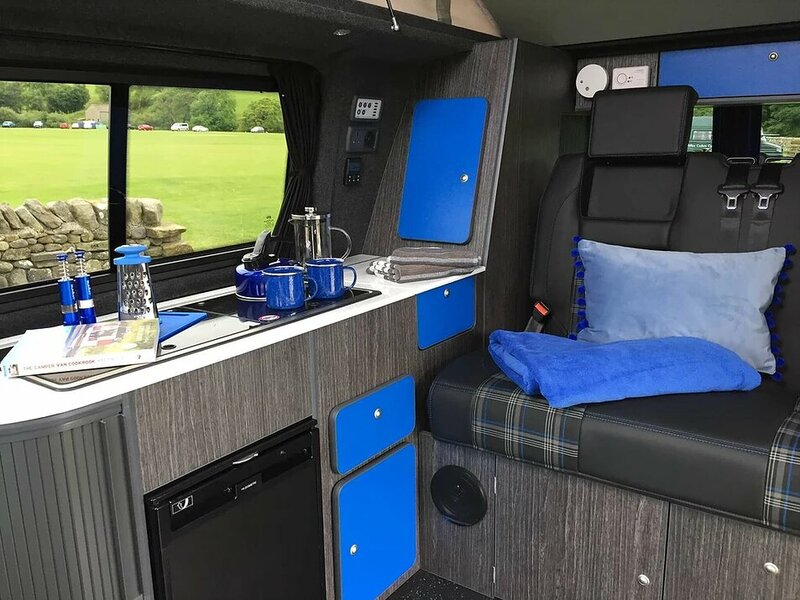 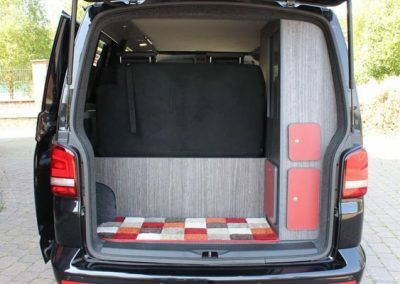 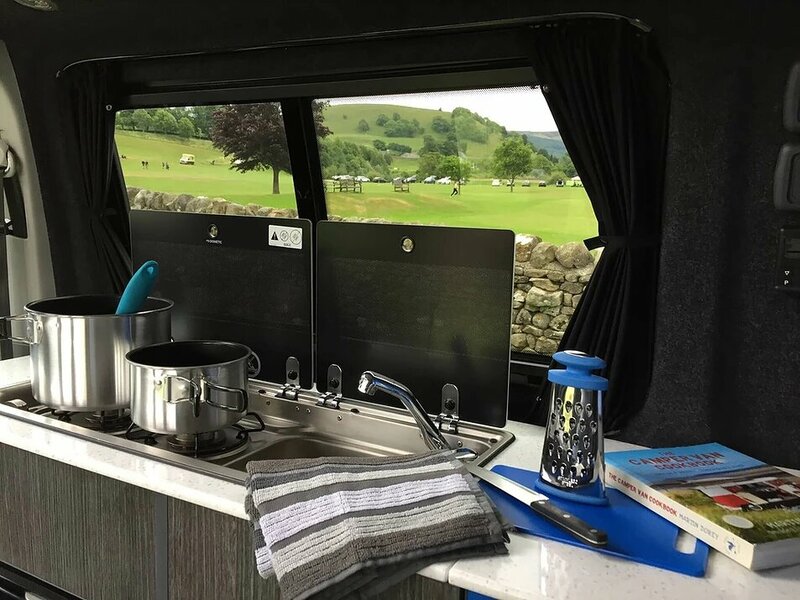 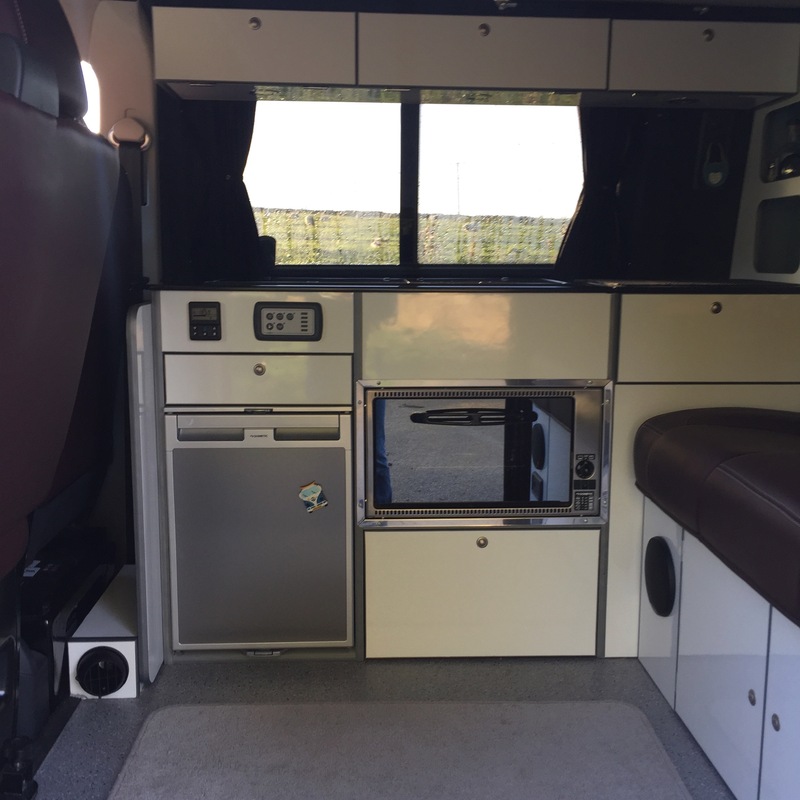 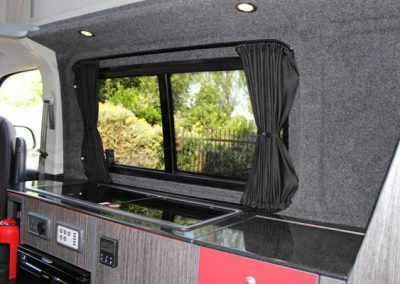 Our Stage One Conversion is very popular and normally consists of a combination of the following items: pop top, windows, lights, insulation, mouldable carpet, flooring, steps, rock & roll bed, leisure battery and split charge. 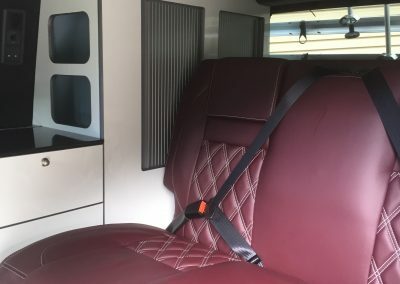 The price is variable depending on the options required, so please feel free to contact us for a price if you are interested in this service. 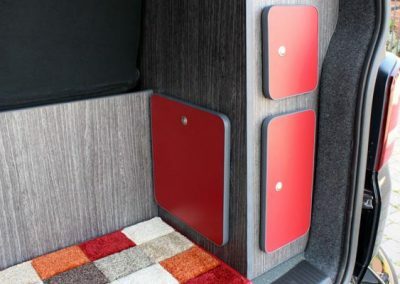 Other items such as swivel seats, heater, awning rail, solar panel, curtains, etc could also be added at this stage, without adding significantly to the build time. 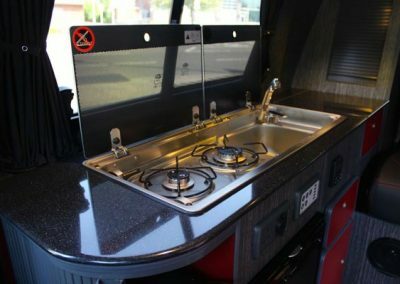 This is usually enough to get you on the road and allow you to start using the van, whilst not breaking the bank. 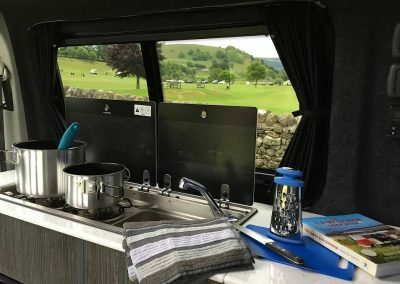 As an added bonus, this work can usually be completed within a week, so if you’re excited to start camping, you won’t have to wait too long. 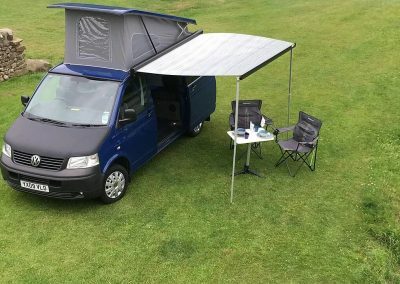 Please note that if you require a pop top, there is usually a 3 week minimum lead time, and this could become longer at busy times of year. 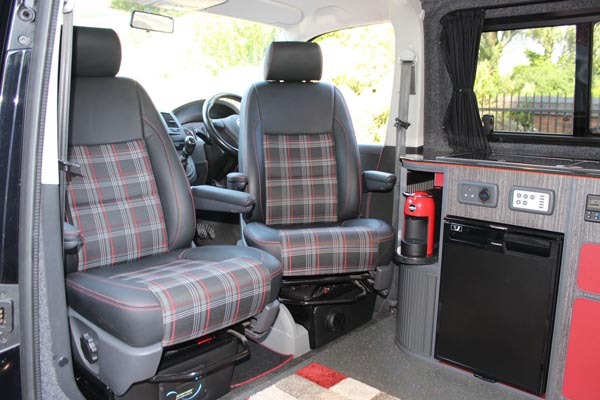 this van can be hired from Click here, if you would like to sample one of our conversions. 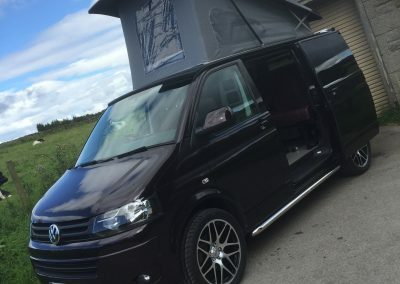 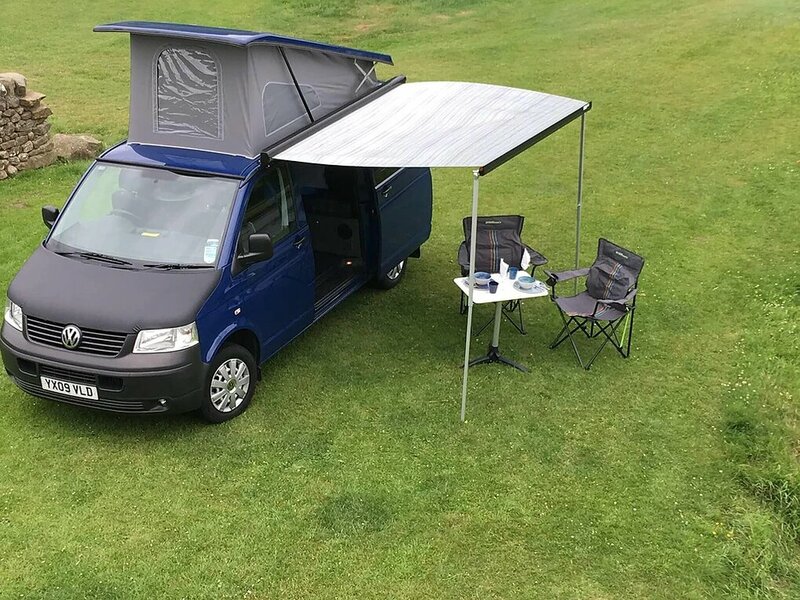 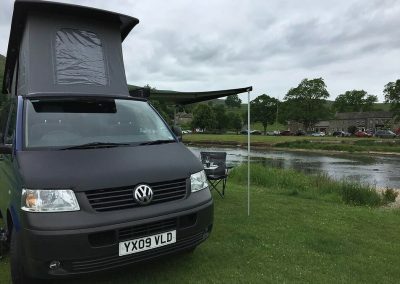 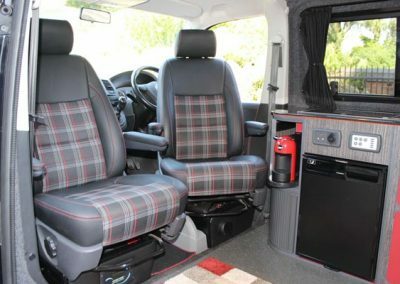 Take a trip to our Gallery page to see some of our favourite T4, T5 and T6 conversions, alongside some pictures pretty classic VWs that we’ve been working on. 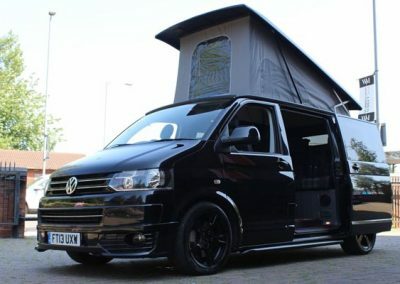 If you don’t have a VW, but you have another van that you want converting, don’t worry, we can convert any van you like! 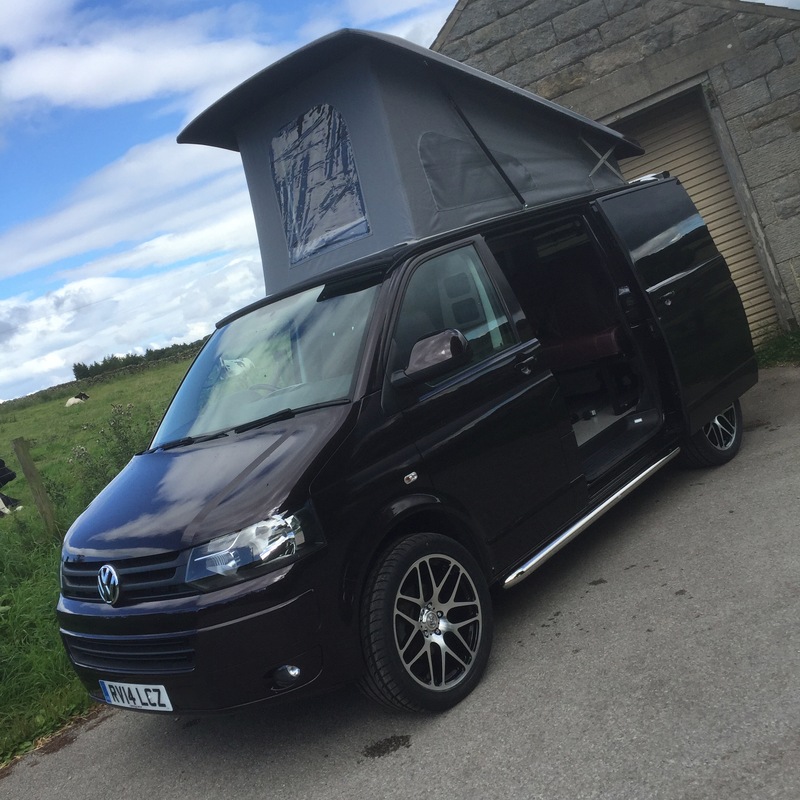 We don’t just do conversions! 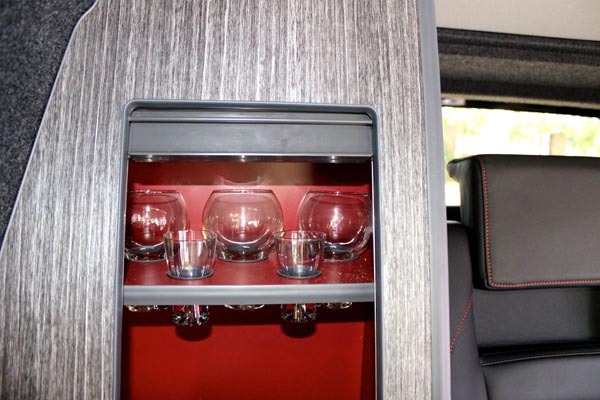 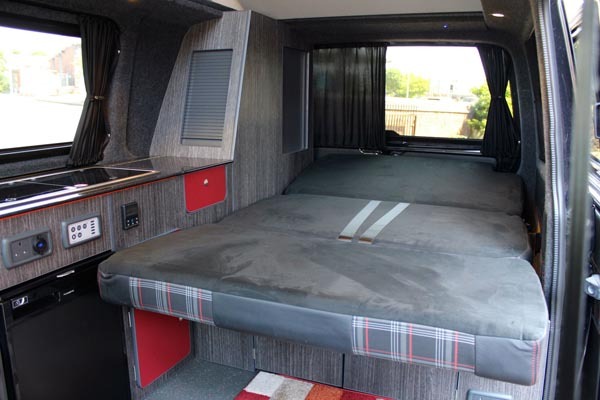 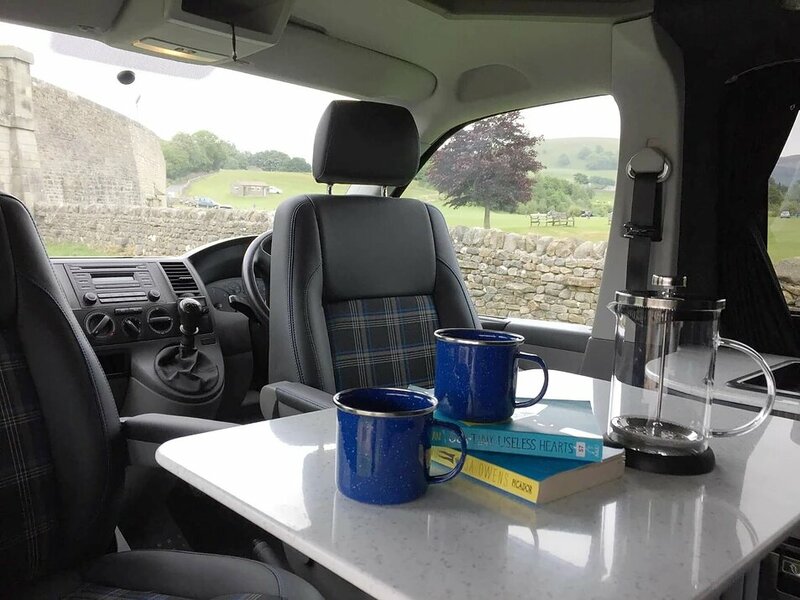 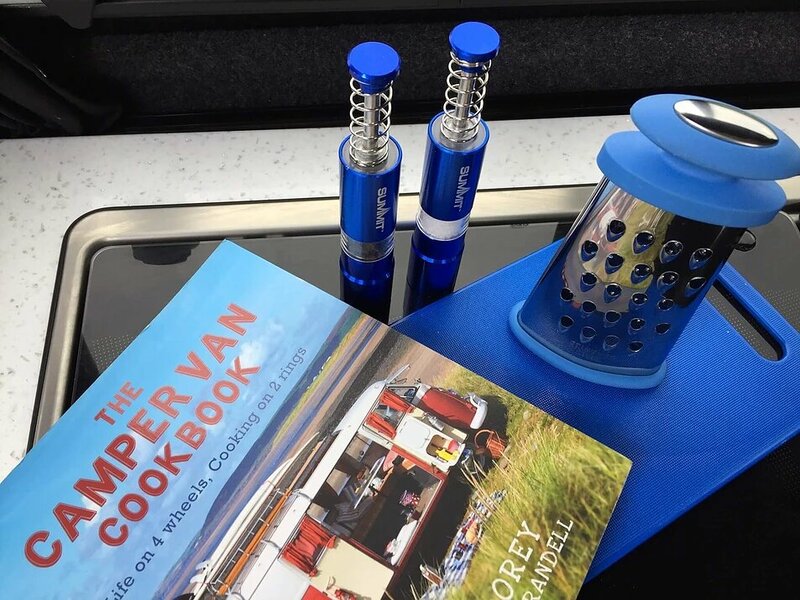 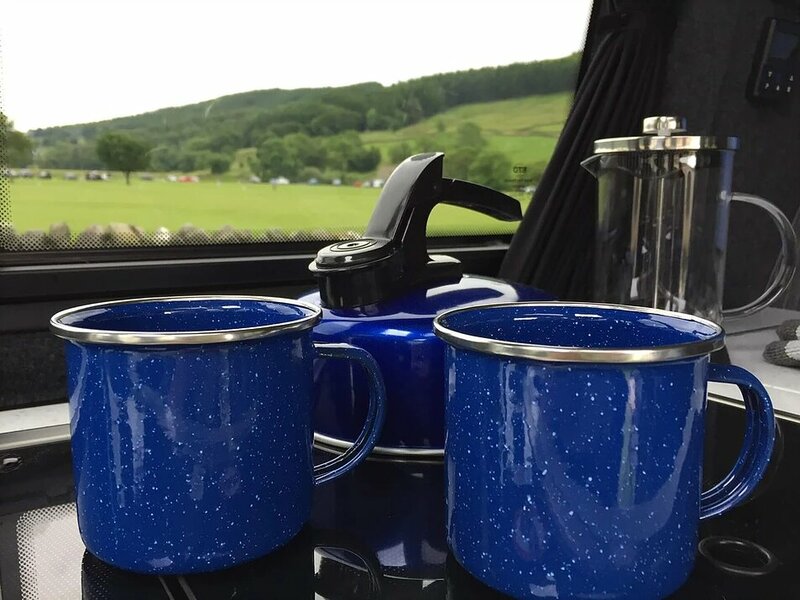 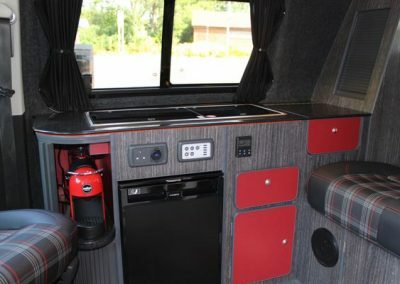 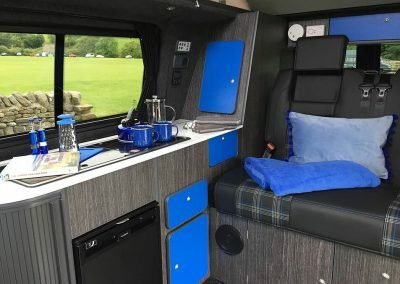 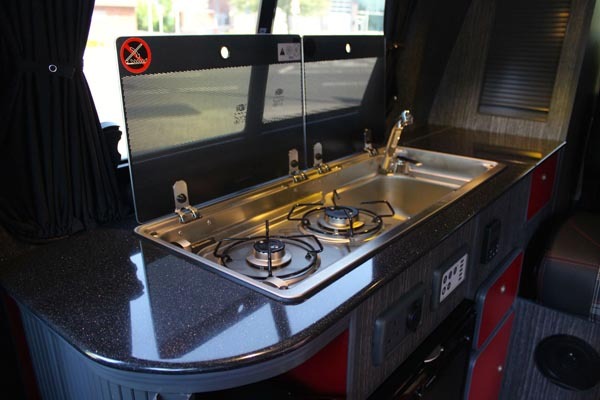 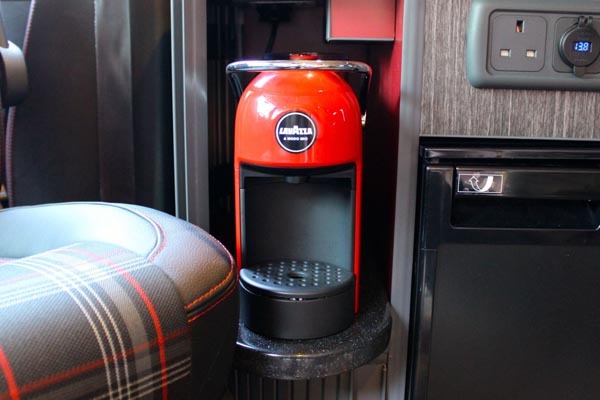 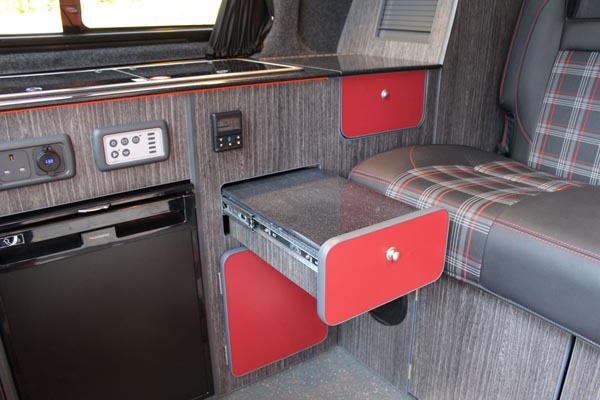 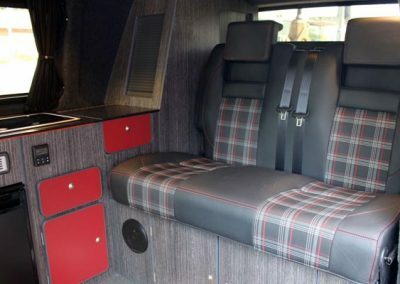 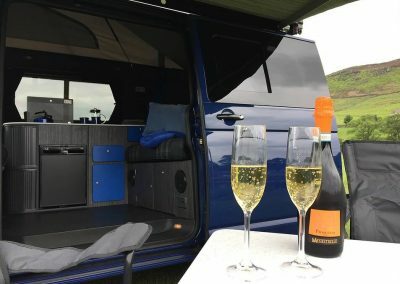 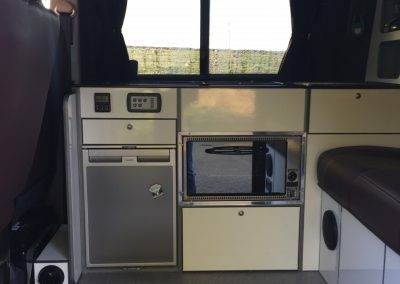 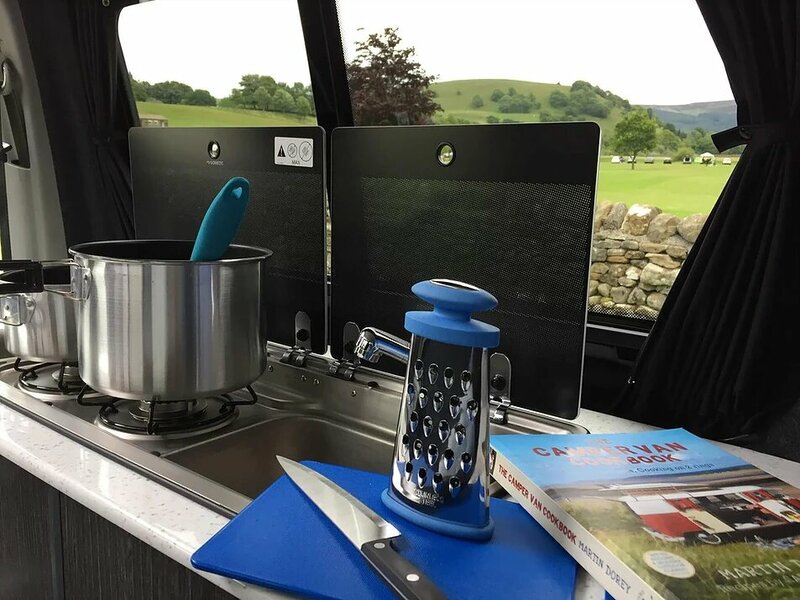 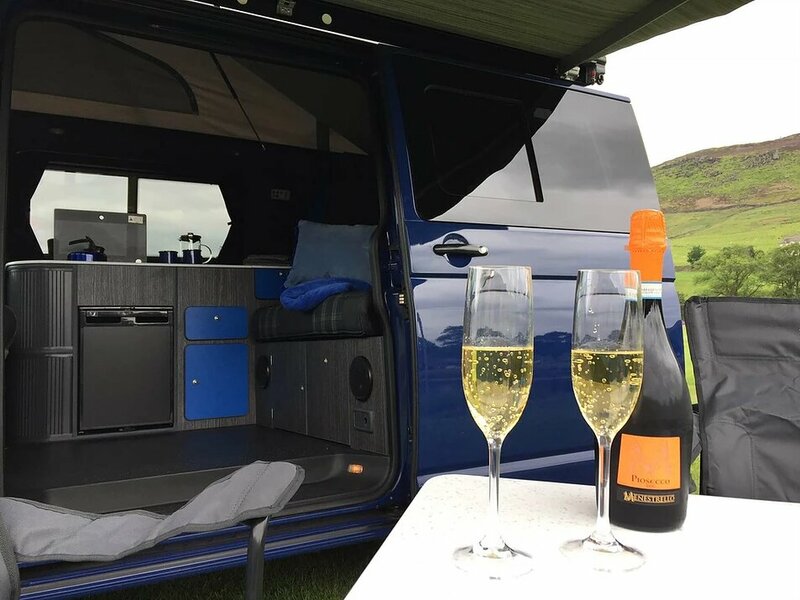 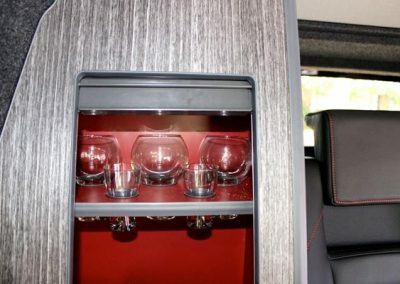 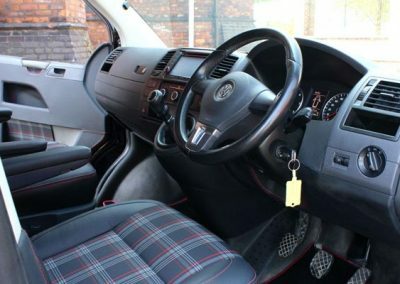 We also build interiors for classic campervans, as well as providing a comprehensive list of repair, maintenance and upgrade services for your classic Volkswagen. 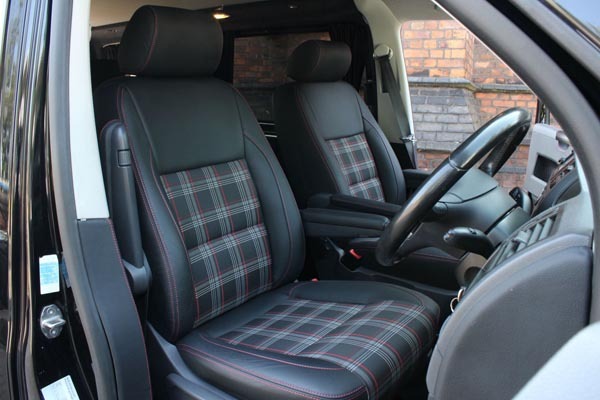 If you have a question or a query, contact our friendly team today. 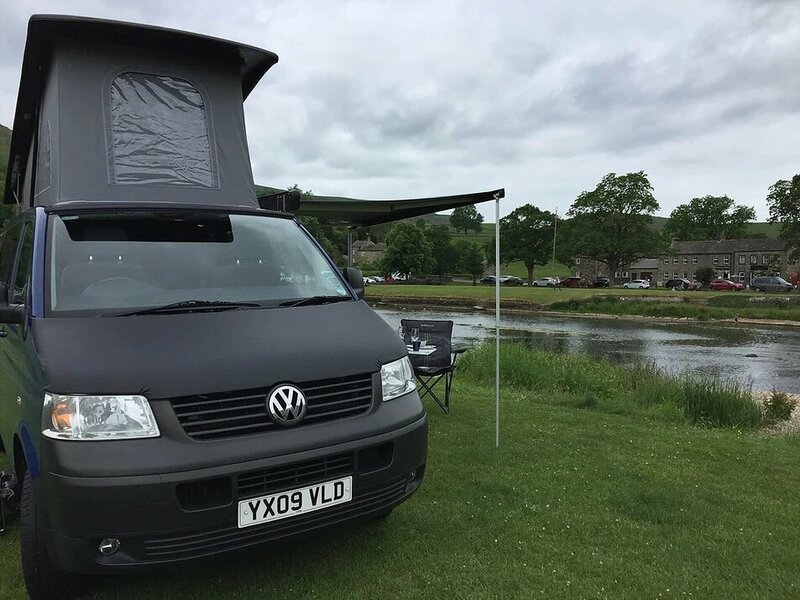 We operate in Harrogate and Yorkshire. 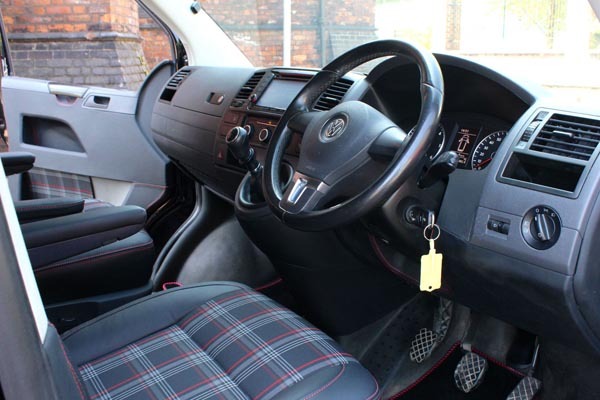 Find out how competitively our VW conversion services are priced.